The first round playoffs schedule has been posted here. Congratulations to all who are working. You've worked hard this season and deserve it! Let's get out there and support our officials! Good luck! The 2016 playoffs list is now up. Congratulations to all who made the list! Click here to see it. This week's newsletter deals with "cleaning up", holding, sideline control, counting, and dead-ball hits. Get the newsletter here. The "Bear" memorial patches have arrived. If you would like to pick them up for yourself and your crewmates for this week, please contact Darren Winkley, who will set them out on his porch for you. Each official will receive two patches. The patch can be sewn, taped, or glued to the hat and should be centered on the back about 1/2" from the bottom. Thomas Aidan Sadler died Saturday night, August 20, 2016 at UCLA from complications of idiopathic pulmonary fibrosis. Born October 27, 1946, he grew up in La Crescenta, California the son of the Rev. C. Boone Sadler, Jr. who was the rector of St. Luke’s of the Mountains for thirty years and Mary Maud Sadler. Bear's services will be held on Saturday, August 27, 2016, at 11:00 AM at St. James the Less, 4625 Dunsmore Ave., La Crescenta, CA 91214-1899. A reception will follow at St. Liuke's, 2563 Foothill Blvd., La Crescenta, CA 91214. Tom loved football, but more he loved offciating. He started late in life and may have not been the best, but he gave it his all up to his last year of officiating. 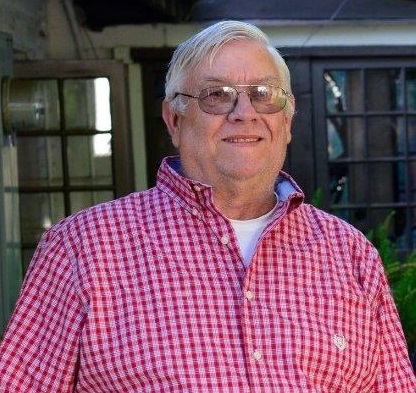 The San Gabriel Valley Football Officials Association is deeply saddened by the loss of our dear friend and fellow official, Tom "Bear" Sadler. This week's CFOA newsletter deals with professional behavior, dead ball officiating, whistle control, speaking with coaches, pass interference, officiating philosophy, and on-field conflict. Access the newsletter here. The study guide (download here) has opened up on Arbiter and will remain open until 8/21. The test needs to be completed online. To do so, click here or go to Arbiter and login to the "Central Hub". Several study guide sessions are coming up. Please sign up for them on Arbiter and remember that you are expected to have your study guide completed prior to attending the session.